At the 12 sq.m. 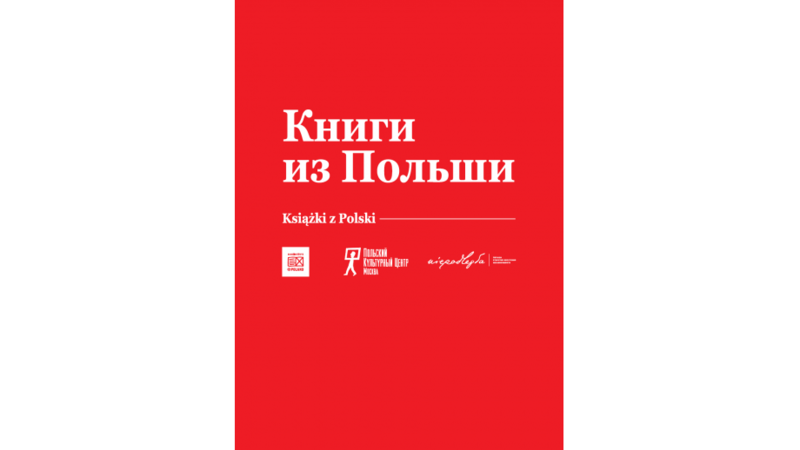 stand, the Book Institute will present new publications from the "New Books from Poland" catalogue, translations published recently in Russia with the support of the ©Poland Translation Programme, a selection of titles devoted to the history of Poland, as well as the best Polish books for children. In the year of the anniversary of Poland's regaining independence and, at the same time, the Year of Zbigniew Herbert, the programme of the Polish presentation is based on two pillars: the history of Poland and the work of one of the most eminent poets of the 20th century. The programme will be complemented by the premiere of the Russian translation of Andrzej Dybczak's Gugara published with the support of the ©Poland Translation Programme and an interesting illustration programme prepared in cooperation with the Russian Samokat Publishing House. With the support of the Book Institute, Samokat publishing house has published in Russia, among others, W morze! (“To the Sea!”) and W góry! (“To the Mountains!”) by Piotr Karski. The Polish programme at the Non/fiction fair includes meetings with authors and discussions with Piotr Gursztyn on national historical narratives in literature and public discourse (December 1st, 15:30, Press Centre), Józef Ruszar, PhD, Andrzej Franaszek, and the renowned Russian translator Anatol Rojtman about the translation of Wiersze zebrane (“Collected Poems”) by Zbigniew Herbert (December 2nd, 12:00, Literary Café), and Andrzej Dybczak on the expected premiere of the Siberian Gugara (December 1st, 14:00, Press Centre). The fair will also feature creative workshops for children (2nd December, 13:30, children's zone), and illustration artists (2nd December, 19:30). Further to the Moscow presentation, there will be a panel discussion with the participation of Józef Ruszar, PhD and Andrzej Franaszek in St. Petersburg, organised by the local Polish Institute. In addition to this, thanks to the cooperation between the Polish Book Institute and Samokat Publishing House, Piotr Karski will give lectures and workshops, aside to the Book Fair, in St. Petersburg and Moscow, in several primary schools, a popular bookshop, and the headquarters of the Young Architects Association. The Polish stand at the International Book Fair Non/fiction gained the status of a project implemented as part of the celebrations of the centenary of Poland’s regaining independence and will be marked with the visual identification of the Multiannual Programme "Independence". The Moscow fair will last until Sunday, December 2nd.